"No other instrument in jazz is more essential than the bass, both backbone and heartbeat, and Haden is its master." Time Magazine has hailed jazz legend Charlie Haden as "one of the most restless, gifted, and intrepid players in all of jazz." Haden's career which has spanned more than fifty years has encompassed such genres as free jazz, Portuguese fado and vintage country such as his recent cd Rambling Boy (Decca) not to mention a consistently revolving roster of sidemen and bandleaders that reads like a list from some imaginary jazz hall of fame. As an original member of the ground-breaking Ornette Coleman Quartet that turned the jazz world on its head the late 1950's, Haden revolutionized the harmonic concept of bass playing in jazz. "His ability to create serendipitous harmonies by improvising melodic responses to Coleman's fee-form solos (rather than sticking to predetermined harmonies) was both radical and mesmerizing. His virtuosity lies…in an incredible ability to make the double bass ‘sound out'. Haden cultivates the instrument's gravity as no one else in jazz. He is a master of simplicity which is one of the most difficult things to achieve." (Author Joachim Berendt in The Jazz Book) Haden played a vital role in this revolutionary new approach, evolving a way of playing that sometimes complemented the soloist and sometimes moved independently. In this respect, as did bassists Jimmy Blanton and Charles Mingus, Haden helped liberate the bassist from a strictly accompanying role to becoming a more direct participant in group improvisation. In addition to his hugely influential work with Ornette Coleman, Don Cherry, Billy Higgins, Ed Blackwell and Dewey Redman, throughout the ‘60s, and 70's Haden subsequently collaborated with a number of adventurous jazz giants, including John Coltrane, Alice Coltrane, Archie Shepp, Chet Baker and Joe Henderson. From 1967-1976, Haden became a member of Keith Jarrett's stellar trio, quartet and quintet which included drummer Paul Motian, percussionist Guilherme Franco and tenor saxophonist Dewey Redman. In 1976, he formed the band Old and New Dreams with fellow Ornette Coleman alumni Don Cherry, Dewey Redman and Ed Blackwell to perpetuate Coleman's music as well as their own with musicians who knew and could perform Coleman's improvisational concept. In 1969, under the banner of Liberation Music Orchestra (MCA/Impulse), Charlie commissioned Carla Bley to arrange for a large cast of illustrious improvisers including Don Cherry and Gato Barbieri and Roswell Rudd and made a record that has become a milestone in recorded jazz. In 1970, it won among many awards, France's Grand Prix Charles Cros as well as Japan's Gold Disc Award from Swing Journal. The group's self-titled debut is a true milestone of modern music, blending experimental big band jazz with the folk songs of the Spanish Civil War to create a powerfully original work of musical/political activism. A few years later he met Pat Metheny who was to become a life-long friend and collaborator and played alongside Dewey Redman, Michael Brecker and Jack DeJohnette in Pat Metheny's 80/81 band. The program he developed is unique in that it emphasizes smaller groups and the spiritual connection to the creative process and helps students discover their individual sound, melodies and harmonies. For his educational work he was recently honored by the Los Angeles Jazz Society as "Jazz Educator of the Year". In 1986 he formed his acclaimed straight ahead band Quartet West with saxophonist Ernie Watts, pianist Alan Broadbent and drummer Larance Marable who because of illness was replaced by Rodney Green. Haden's vision for Quartet West recognizes the beginning of modernism in jazz. (Francis Davis, The Atlantic Monthly)Along with lush forties pop ballads and lilting originals by Haden or Alan Broadbent, the group's pianist, the Quartet's elegant "noir" infused bop-oriented style and stellar instrumentalists perfectly evoke a sense of place like no other band. Beautiful melodies are given lush, lyrical interpretations that captivate with their sublime beauty and passionate delivery. The Quartet has celebrated over twenty years together and it is one of the rare groups in jazz that has continued to perform as an ensemble over a long stretch of time. Through the ‘90s and early 2000's, Haden continued playing with Quartet West and the Liberation Music Orchestra while also producing and recording or performing with Pat Metheny, Gonzalo Rubalcaba, John Scofield, Tom Harrell, Hank Jones, Kenny Barron, Shirley Horn, Ginger Baker, Bill Frisell, Jack DeJohnette, Michael Brecker, Joe Lovano, Abbey Lincoln, Stan Getz, Alice Coltrane and his former student Ravi Coltrane among many others. 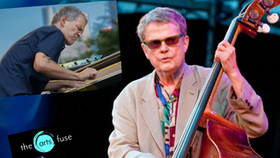 Over the years Charlie Haden has received a Guggenheim Fellowship and several NEA grants for composition as well as three Grammy awards and more than fifteen Grammy nominations and countless international awards. In 1997 he was awarded a Grammy for his duet recording with Pat Metheny Beyond the Missouri Sky (Verve) which Haden dubbed "contemporary impressionistic Americana". The chord voicings and harmonic sense the two musicians display is uncanny as they bend and flex the melody and solo lines to create expressive and contemplative musical statements. in 2001 Haden received the Latin Grammy Award for Best Latin Jazz CD Nocturne (Verve) featuring luscious boleros from Cuba and Mexico. Following that triumph he was again awarded a Latin Grammy for his follow-up cd Land of the Sun (Verve) which explores the compositions of the great Mexican composer Jose Sabre Marroquin "It's an homage to Marroquin, to the beauty of Mexican music. It's the ‘day' to Nocturne's ‘night' ", says Haden. With arrangements by Cuban pianist Gonzalo Rubalcaba, Haden weaves a gorgeous tapestry of sound reflecting the beauty of Mexico. 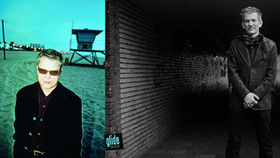 Along with a few rare concert reunions with Ornette Coleman- most recently in the summer of 2009 during the Southbank Festival's Meltdown in London – Haden has made a specialty of performing and producing intimate duet recordings with such jazz greats as Hank Jones on the album Steal Away (Verve) , Kenny Barron Night and the City (Verve) which are a perfect showcase for his rich elegant tone. To complement this Grammy nominated recording, Swiss film director Reto Caduff released a documentary film about the Haden's life also named Rambling Boy in 2009. It's making the film festival circuit both internationally and in the U.S. and Canada including the 2009 Telluride and Vancouver International Film Festivals. "Jasmine" on ECM Records, a duet album with former long-time collaborator Keith Jarrett. This was the result of a reunion of the two musicians when Keith was interviewed for the Swiss documentary film about Charlie called "Charlie Haden Rambling Boy". "Sophisticated Ladies" on Emarcy/Decca Records with Quartet West and strings arranged by Alan Broadbent featuring the vocalists Cassandra Wilson, Diana Krall, Melody Gardot, Norah Jones, Renee Fleming, Ruth Cameron. As a follow-up to "Art of the Song" with Shirley Horne and Bill Henderson and Quartet West, Haden wanted to further explore little known gems of the American Songbook with Quartet West and contemporary vocalists. "Live at Birdland" on ECM Records with Lee Konitz, Brad Mehldau and Paul Motian which is a live recording from a date at Birdland in 2011 with four masters of improvisation. Haden has been honored with the 2012 NEA JAZZ MASTER AWARD, the nation's highest honor in jazz which will be given to him and four other honorees at a ceremony in Lincoln Center, NYC. Charlie Haden truly is beyond category! 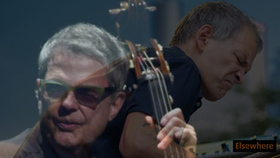 Charlie Haden's many honors also include a Guggenheim Fellowship, sixteen Grammy nominations in both the jazz and bluegrass categories. He has received dozens of "Artist" or "Album of the Year" awards from the New York Times, New Yorker, Time, Stereo Review, Downbeat, Billboard, CD Review, and Rolling Stone and his albums are on many "Best of…" lists over the years. Jazz pianist Brad Mehldau has recorded and performed extensively since the early 1990s. Mehldau's most consistent output over the years has taken place in the trio format. Starting in 1996, his group released a series of five records on Warner Bros. entitled The Art of the Trio (recently re-packaged and re-released as a 5-Disc box set by Nonesuch in late 2011). During that same period, Mehldau also released a solo piano recording entitled Elegiac Cycle, and a record called Places that included both solo piano and trio songs. Elegiac Cycle and Places might be called "concept" albums made up exclusively of original material with central themes that hover over the compositions. Other Mehldau recordings include Largo, a collaborative effort with the innovative musician and producer Jon Brion, and Anything Goes-a trio outing with bassist Larry Grenadier and drummer Jorge Rossy. His first record for Nonesuch, Brad Mehldau Live in Tokyo, was released in September 2004. After ten rewarding years with Rossy playing in Mehldau's regular trio, drummer Jeff Ballard joined the band in 2005. The label released its first album from the Brad Mehldau Trio-Day is Done-on September 27, 2005. An exciting double live trio recording entitled Brad Mehldau Trio Live wasreleased on March 25th, 2008 (Nonesuch) to critical acclaim. On March 16, 2010 Nonesuch released a double-disc of original work entitled Highway Rider, the highly anticipated follow up to Largo. The album was Mehldau's second collaboration with renowned producer Jon Brion and featured performances by Mehldau's trio-drummer Jeff Ballard and bassist Larry Grenadier-as well as percussionist Matt Chamberlain, saxophonist Joshua Redman, and a chamber orchestra led by Dan Coleman. In 2011 Nonesuch released Live in Marciac-a two CD release with a companion DVD of the 2006 performance, and Modern Music, a collaboration between pianists Brad Mehldau and Kevin Hays and composer/arranger Patrick Zimmerli. 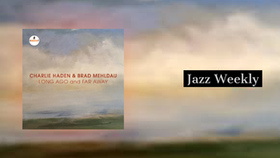 In 2012 Nonesuch released an album of original songs from the Brad Mehldau Trio-Ode-the first from the trio since 2008's live Village Vanguard disc and the first studio trio recording since 2005's Day is Done. Ode went on to garner a Grammy-Nomination. Nonesuch released the Brad Mehldau Trio's Where Do You Start, a companion disc to the critically acclaimed Ode, in the fall of 2012. Whereas Ode featured 11 songs composed by Mehldau, Where Do You Start comprises the Trio's interpretations of 10 tunes by other composers, along with one Mehldau original. In 2013 Mehldau produced and performed on Walking Shadows, the acclaimed Nonesuch release from Joshua Redman. 2013 also saw a number of collaborative tours including a duo tour with mandolin virtuoso Chris Thile, piano duets with Kevin Hays and a new electric project with prodigious drummer Mark Guiliana entitled "Mehliana." Mehliana: Taming the Dragon, the debut release by Mehliana, was released in early 2014. Mehldau's monumental and ambitious 10 Years Solo Live eight-LP vinyl box set was released to unanimous critical acclaim on October 16th, 2015 (with CD and digital versions released in November). The set was culled from 19 live recordings made over a decade of the pianist's European solo concerts and was divided into four thematic subsets of four sides each: Dark/Light, The Concert, Intermezzo/Rückblick, and E Minor/E Major. In 2016, Nonesuch Records released the Brad Mehldau Trio's highly-anticipated Blues and Ballads-the ensemble's first new release since 2012's Where Do You Start-and the celebrated debut album of the Joshua Redman/Brad Mehldau Duo, Nearness, featuring recordings from their 2011 European tour. 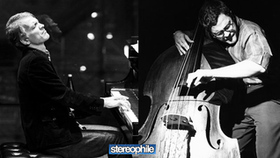 Both albums have received universal from critics and audiences alike, and both have earned a Grammy nomination for Mehldau. Mandolinist/singer Chris Thile joins Mehldau for their debut release in 2017: Chris Thile & Brad Mehldau. Mehldau's musical personality forms a dichotomy. He is first and foremost an improviser, and greatly cherishes the surprise and wonder that can occur from a spontaneous musical idea that is expressed directly, in real time. But he also has a deep fascination for the formal architecture of music, and it informs everything he plays. In his most inspired playing, the actual structure of his musical thought serves as an expressive device. As he plays, he listens to how ideas unwind, and the order in which they reveal themselves. Each tune has a strongly felt narrative arch, whether it expresses itself in a beginning, an end, or something left intentionally open-ended. The two sides of Mehldau's personality-the improviser and the formalist-play off each other, and the effect is often something like controlled chaos. In addition to his trio and solo projects, Mehldau has worked with a number of great jazz musicians, including a rewarding gig with saxophonist Joshua Redman's band for two years, recordings and concerts with Pat Metheny, Charlie Haden and Lee Konitz, and recording as a sideman with the likes of Michael Brecker, Wayne Shorter, John Scofield, and Charles Lloyd. For more than a decade, he has collaborated with several musicians and peers whom he respects greatly, including the guitarists Peter Bernstein and Kurt Rosenwinkel and tenor saxophonist Mark Turner. Mehldau also has played on a number of recordings outside of the jazz idiom, like Willie Nelson's Teatro and singer-songwriter Joe Henry's Scar. His music has appeared in several movies, including Stanley Kubrick's Eyes Wide Shut and Wim Wender's Million Dollar Hotel. He also composed an original soundtrack for the French film, Ma Femme Est Une Actrice. Mehldau composed two new works commissioned by Carnegie Hall for voice and piano, The Blue Estuaries and The Book of Hours: Love Poems to God, which were performed in the spring of 2005 with the acclaimed classical soprano, Renee Fleming. These songs were recorded with Fleming and released in 2006 on the Love Sublime record; simultaneously, Nonesuch released an album of Mehldau's jazz compositions for trio entitled House on Hill. A 2008 Carnegie Hall commission for a cycle of seven love songs for Swedish mezzo-soprano Anne Sofie von Otter premiered in 2010. Love Songs, a double album that paired the newly commissioned song cycle, with a selection of French, American, English, and Swedish songs that Mehldau and von Otter performed together, was released in late 2010 (on the Naïve label) to unanimous praise. In 2013 Mehldau premiered and performed Variations on a Melancholy Theme a large format orchestral piece which was performed with both Orpheus Chamber Orchestra and Britten Sinfonia. Commissioned by Carnegie Hall, The Royal Conservatory of Music, The National Concert Hall, and Wigmore Hall with the support of Andre Hoffmann (president of the Fondation Hoffmann) in 2015, Mehldau's Three Pieces After Bach were inspired by selections from Johann Sebastian Bach's seminal work, The Well-Tempered Clavier. Mehldau was appointed as curator of an annual four-concert jazz series at London's prestigious Wigmore Hall during its 2009-10 and 2010-11 seasons, with Mehldau appearing in at least two of the four annual concerts. In late January 2010 Carnegie Hall announced the 2010-11 season-long residency by Mehldau as holder of the Richard and Barbara Debs Composer's Chair at Carnegie Hall-the first jazz artist to hold this position since it was established in 1995. 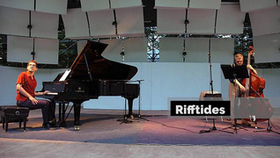 Previous holders include Louis Andriessen (2009–2010), Elliott Carter (2008–2009), and John Adams (2003–2007). 2012 Grammy Nominee - Best Improvised Jazz solo "Ode"
2012 Nominated for JazzFM "International Artist of the Year"
"Musick has Charms to sooth a savage Breast," and there's plenty of breast-beating savagery out there, so I've continued to listen, and here is my dispatch on the Best Jazz Albums (10 new and two historical discoveries) of 2018. A more discursive version of this list, with descriptions and an audio track from each album, appears here in Slate (my editors indulge me now and then). Exclusively for this blog's readers, I append, below, some notes on the entries' sound quality. New Albums 1. Keith Jarrett, La Fenice (ECM, 2 CDs). 2. Cecile McLorin Salvant, The Window (Mack Avenue, CD or LP). 3. Fred Hersch Trio, Live in Europe (Palmetto). 4. Ben Allison, Quiet Revolution (Sonic Camera). 5. Dave Douglas Quintet, Brazen Heart: Live at Jazz Standard-Saturday (Greenleaf, 2CDs). 6. Frank Kimbrough, Monk's Dreams (Sunnyside, 6CDs). 7. 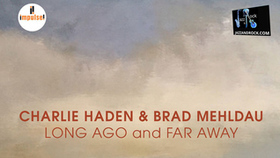 Charlie Haden & Brad Mehldau, Long Ago and Far Away (Impulse). 8. Steve Coleman & Five Elements, Live at the Village Vanguard, Vol.1 (The Embedded Sets) (Pi, 2CDs). 9. Dave Douglas & Joe Lovano, Scandal (Greenleaf). 10. Charles Lloyd & the Marvels + Lucinda Williams, Vanished Gardens (Blue Note, CD or LP). Historical Albums 1. Miles Davis & John Coltrane, The Final Tour: The Bootleg Series, Vol.6 (Columbia Legacy, 4CDs). 2. Erroll Garner, Nightconcert (Mack Avenue).